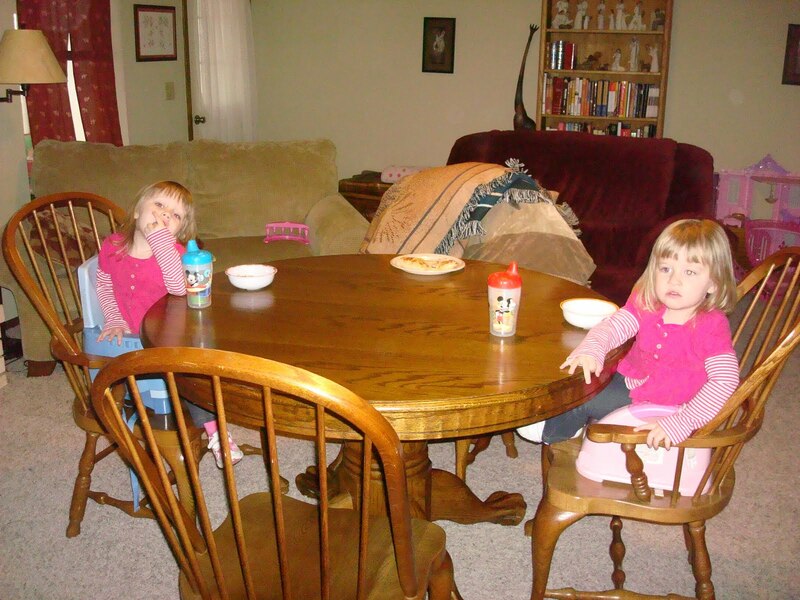 Ana and Emma, enjoying ALL their meals at the dining room table… which is in the middle of the living room. This is how all the cool kids are eating these days. Nice. Here’s a shot of the carpet, first thing this morning. We moved the fridge, only to discover that lovely yellow linoleum. Now we know why the previous owners threw carpet down. 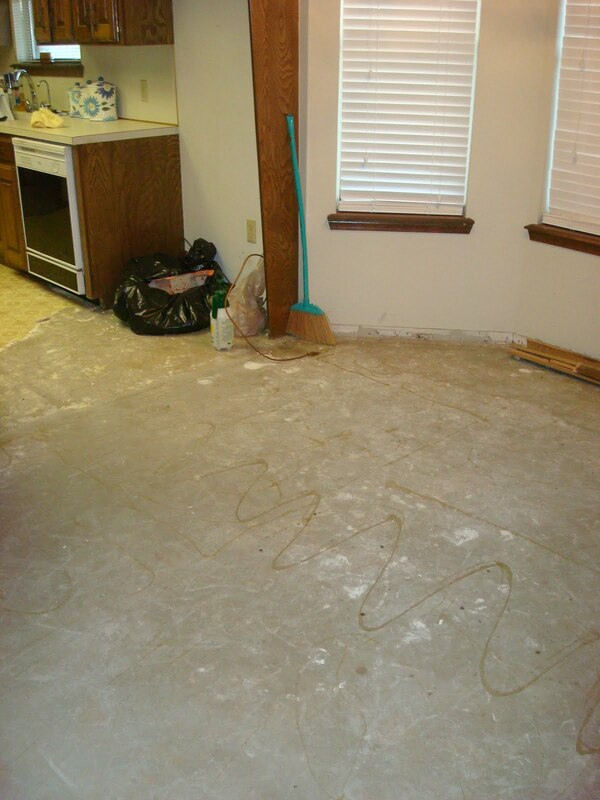 Once the tile team got here, they discovered MORE yellow linoleum…. and discovered that it won’t come up without the use of mega-power tools, which is how they’ll begin Day Two. 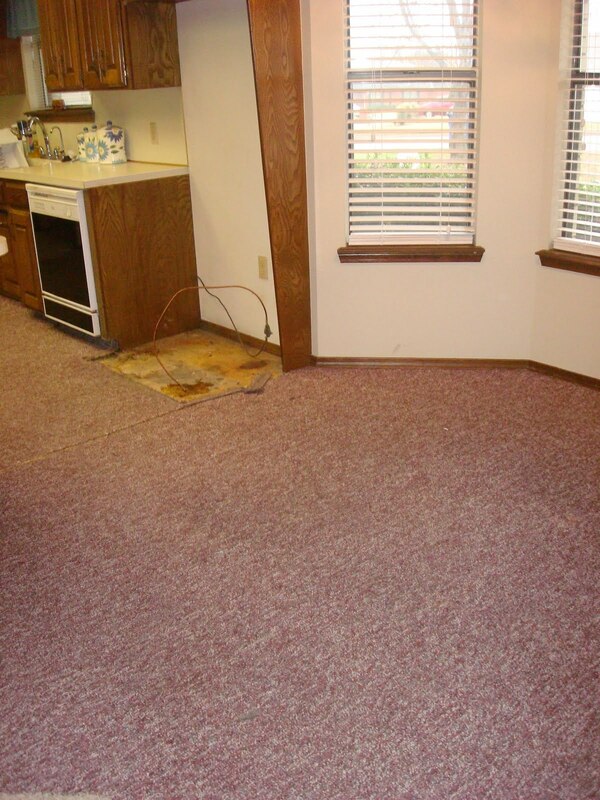 No more carpet in the dining room! It looks (and sounds!) very different in there. I love it!! Thanks for keeping us updated!! 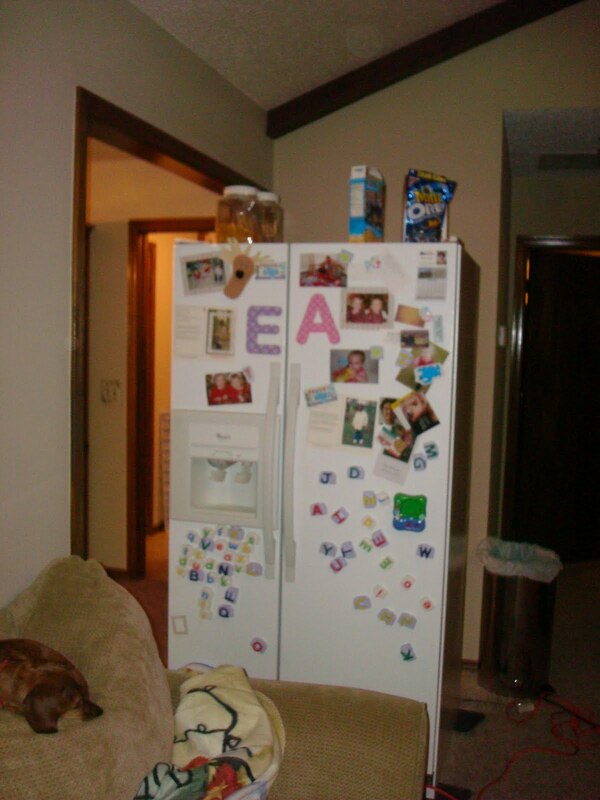 I love pictures and redos…fun all around! !